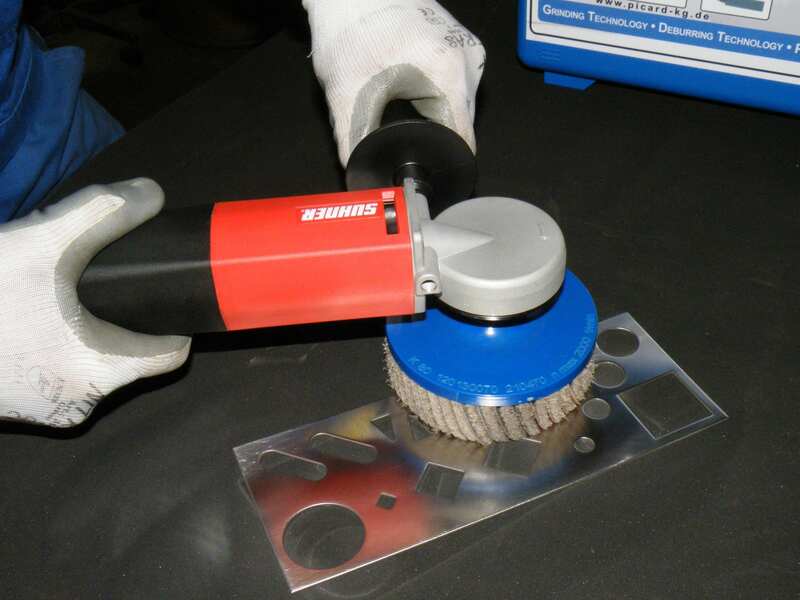 The deburring case set FAPI-FIX makes deburring, grinding and edge rounding of sheet metal parts very easy. The large selection of tools leads to a fast and high-quality machining result for every application. 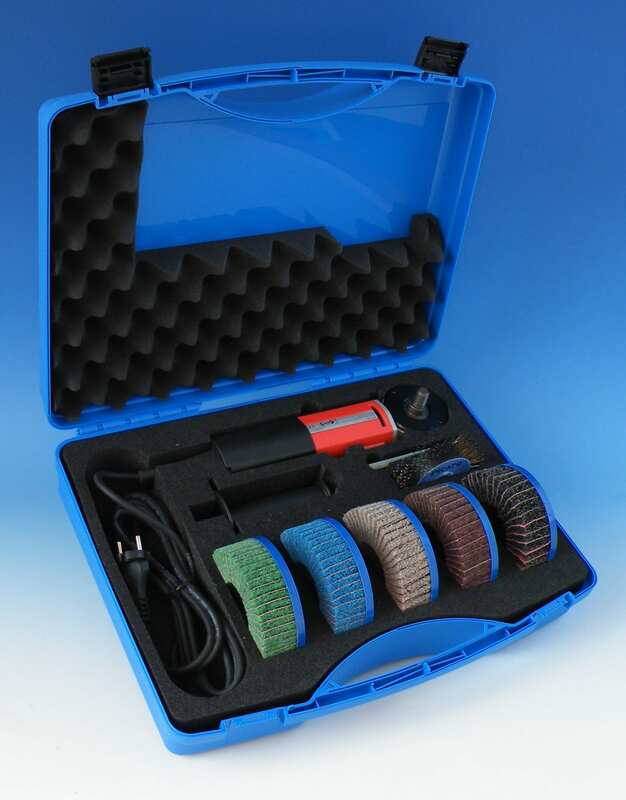 The deburring case set FAPI-FIX is delivered in a hard shell case and contains an angle grinder FAPI-UPC 2R, a round brush FAPI-SCRATCH, a sharpening stone FAPI-SHARP and 5 deburring discs FAPI-M14, with which you can freely choose between different grinding fleece quality and grain size of the grinding cloth for your application! 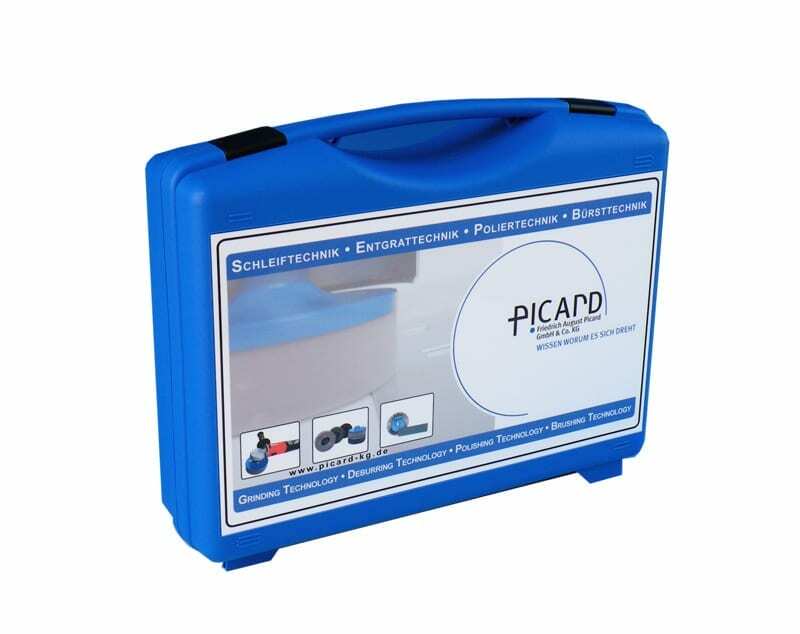 In order to react flexibly to the wishes of our customers and their areas of application, we have put together various variants of our deburring case set FAPI-FIX! 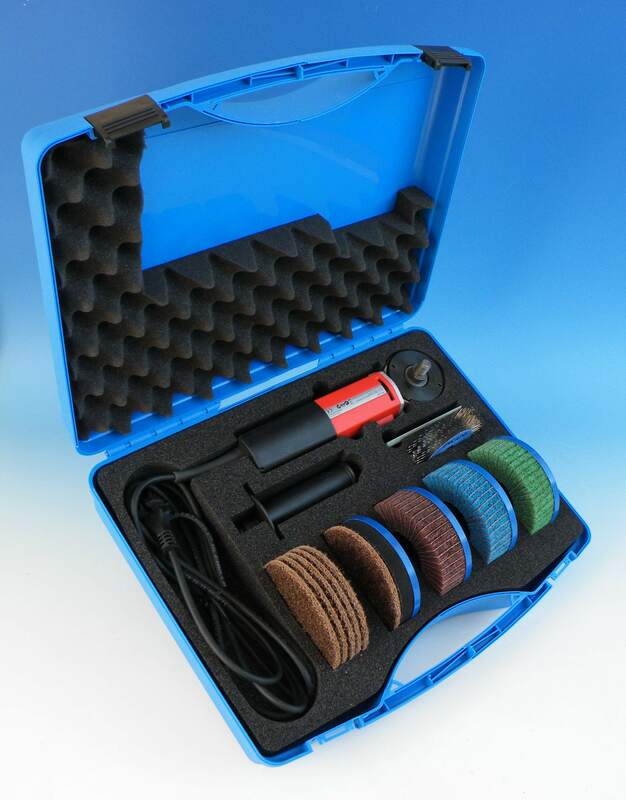 With the addition of our FAPI-KLETT M14 hook-and-loop carrier, it is now possible to use the machine in our case set with hook-and-loop abrasives. 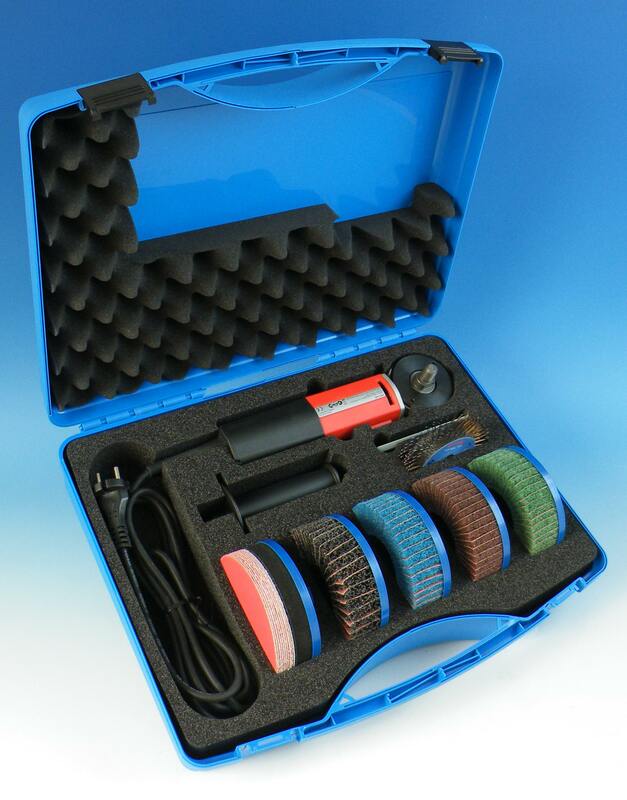 When equipping the case with 3 or 4 of our deburring discs FAPI-M14, you can also choose between adhesive grinding wheels or adhesive non-woven grinding wheels in the desired quality and grain size. This possibility of variable composition offers the user full flexibility in the selection of tools for his machining process.